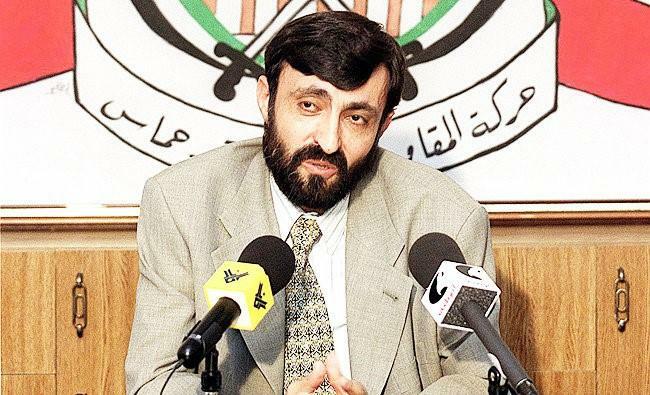 A senior Hamas official and one of the Palestinian terror group's founding fathers has died after suffering a head wound in what reports are describing as an "unexplained shooting" . Hamas announced that Imad al-Alami died Tuesday after being unconscious since a January 9 mysterious incident said to have occurred at his Gaza City home, which sparked widespread speculation over what happened. Fueling the speculation was a hasty Hamas statement released on January 9 which initially claimed he had died of "natural causes" but a subsequent statement was quickly issued saying he accidentally shot himself in the head while "inspecting his personal weapon in his home and is in critical condition." The 62-year old Alami, who also went by Abu Hamam, had been in critical condition in a Gaza hospital for the three weeks before his death. Alami was classified as a "specially designated global terrorist" by the US in 2003 after spending a career holding key posts within Hamas' policy-making body, which included years heading up Hamas headquarters-in-exile offices in Damascus, before returning to the Gaza strip in 2012. He also oversaw Hamas military operations in the West Bank during his time in Syria. More significant, however, is that he was among the most internationally connected of Hamas' founding members, having maintained extensive ties with Iran - a major financial sponsor and weapons supplier to Hamas - and with a close personal relationship with Hezbollah Secretary-General Hassan Nasrallah. Alami was further widely acknowledged to be in line as the designated successor to current Hamas head Ismail Haniyeh, and was active in operations as late as 2014, when he was seriously wounded - reportedly by Israeli airstrike during Israel's 'Operation Protective Edge' - which resulted in the loss of one of his legs. But adding further mystery to the Hamas leader's final years, other sources claim his 2014 wounds were the result of a brutal attack by other factions within Hamas, possibly under the direction of a rival senior Hamas official with which he was fueding, Fathi Hamad. The circumstances behind the injury are still unclear. It is possible he tried to take his own life after being diagnosed with cancer a year ago, or that he was hurt in an assassination attempt. A third option is that his handgun accidentally discharged, hitting him. Alami's death comes two months after increased violence and tensions within Gaza and the Palestinian territories precipitated by President Trump's early December announcement of formal US recognition of Jerusalem and the capital of Israel. The move unleashed a wave of violent clashes between Palestinian demonstrators and Israeli security forces, resulting in multiple deaths. Dozens of rockets were also launched out of Gaza, with Hamas leadership calling for a new 'intifada' - or mass uprising against Israeli occupation - soon after Trump's announcement. Recently ISIS has also attempted to make inroads into Gaza and has reportedly come into increased conflict with Hamas leadership, which ISIS has condemned for its closeness to Shia Iran, which is seen a apostate. In early January the Middle East English daily Arab News reported, "Daesh [ISIS] last week released a video calling on its members and supporters in Gaza to fight Hamas, which it accused of moving closer to Iran. The video ended with an extremist from Gaza, killing another Sinai person by shooting him in the back of the head for allegedly collaborating with Hamas’s military wing to obtain arms through Sinai." Tensions between Israel and Iran have also escalated dramatically of late as the Syrian government supported by its Iranian allies have consolidated power over much of Syria, fully connecting the so-called Iranian 'land bridge' linking Tehran, Baghdad, Damascus and Lebanon. In early January Israeli media widely reported substantial rumors that both the US and Israel had green-lighted intelligence operations aimed at assassinating Iran's top military officer, Iranian Revolutionary Guard al-Quds Force commander Maj. Gen. Qassem Soleimani.